There are a number of people and institutions that offer grants to students and projects to help them. However, the person requesting for the grant needs to approach the donor in a very professional manner. He is required to send a proper application requesting for the grant. In case, he does not know how to design such a document, he can use the Application Forms which comprise of all the essential segments that should be included in the application. A student who wishes to apply for a grant with a financial organization is required to fill in this form with all the relevant details like his name, the course he wants to pursue, kind of grant he is looking for and the reason for the request. With all the segments in place, the applicant just needs to fill in the relevant information. 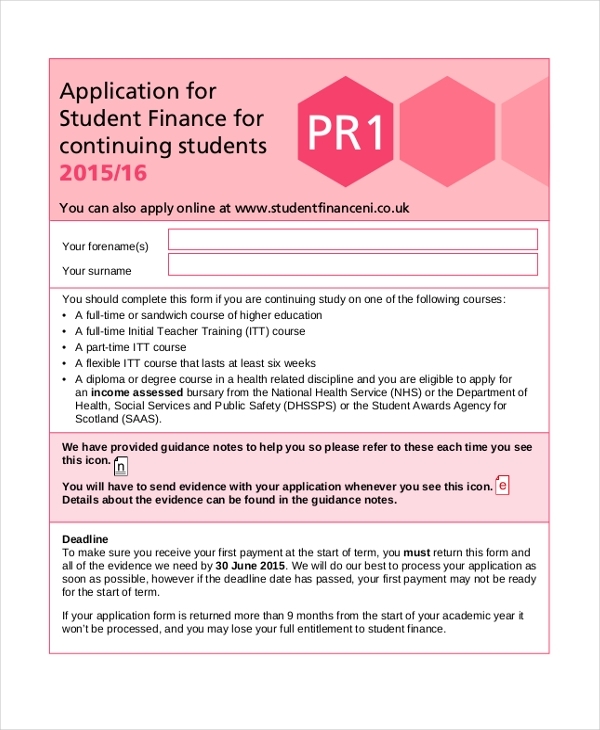 Any student who wants to request for a grant to help him maintain his studies and other expenses can use the aforesaid form for the purpose. With the required segment in place, the student can fill in the relevant details and then submit the form to the authority concerned. 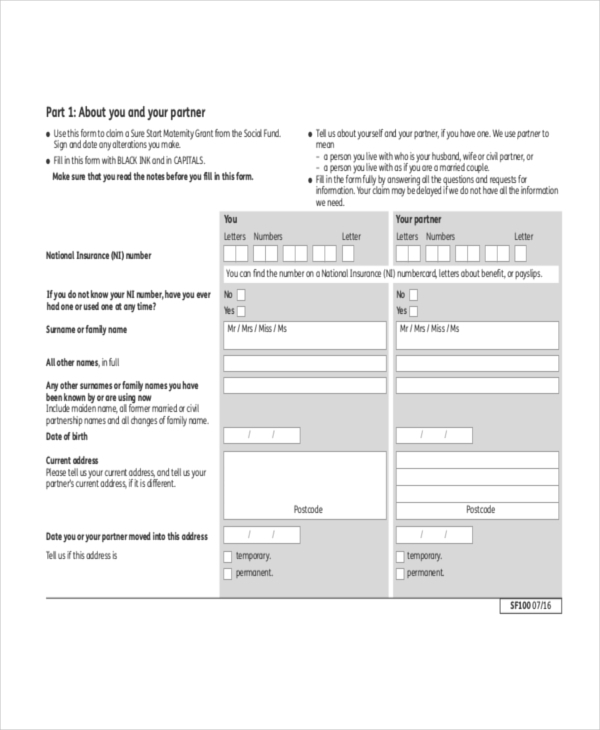 This form is used by non-profit organizations and charity foundations to offer a grant to people who might come to them seeking help. 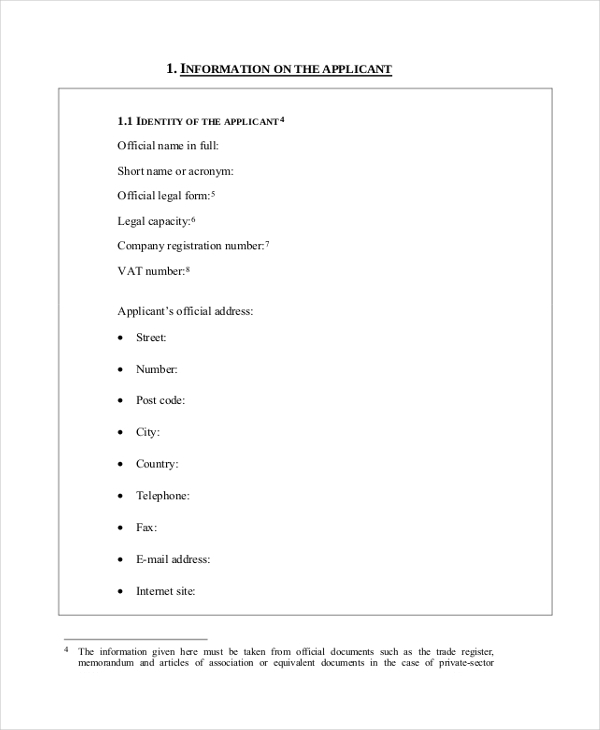 The applicant in required to fill in this application form with all the relevant details and the reason he is seeking the aid. You may also see Sample Job Application Forms. 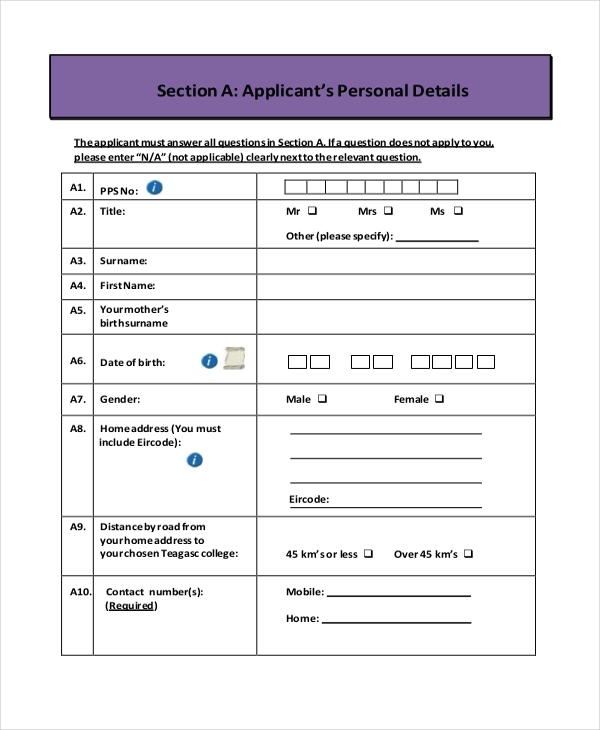 As the name indicates, this form can be used by a person who wishes to request for a maternity grant to see herself through her maternity period. The person is required to fill in the important details in the form like the income of the family, the reason for the request etc. 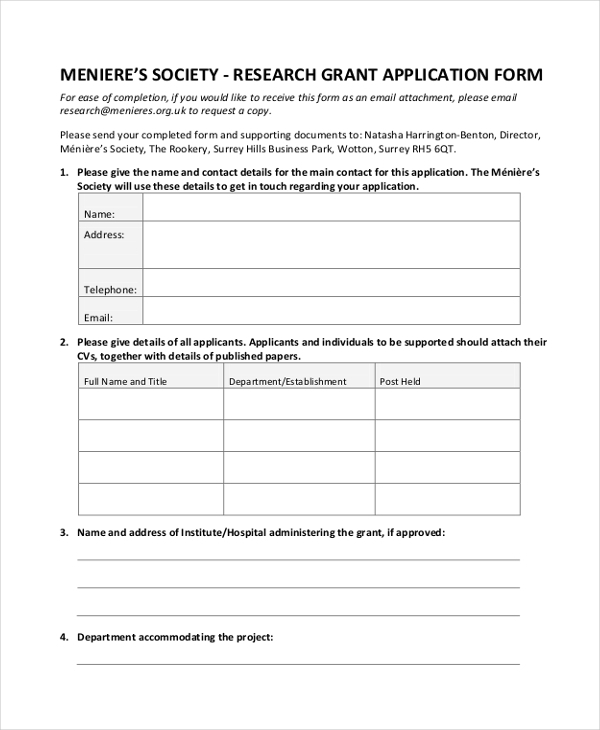 A person who wishes to pursue a research program but requires funds for it can use the aforesaid form to apply for a grant with a charity foundation or an interested donor. He may have to offer the details of the project in the form. 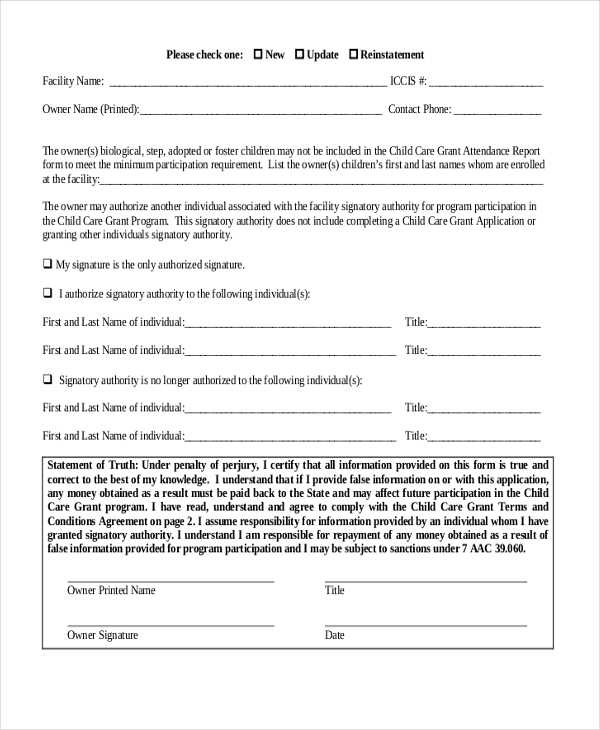 As the name indicates, this form can be used by a person who wishes to request for some child support from the government or a nonprofit organization. The form can be filled in by the parent or guardian of the child with all relevant details and reason for seeking the grant. you can also see Sample Rental Application Forms. 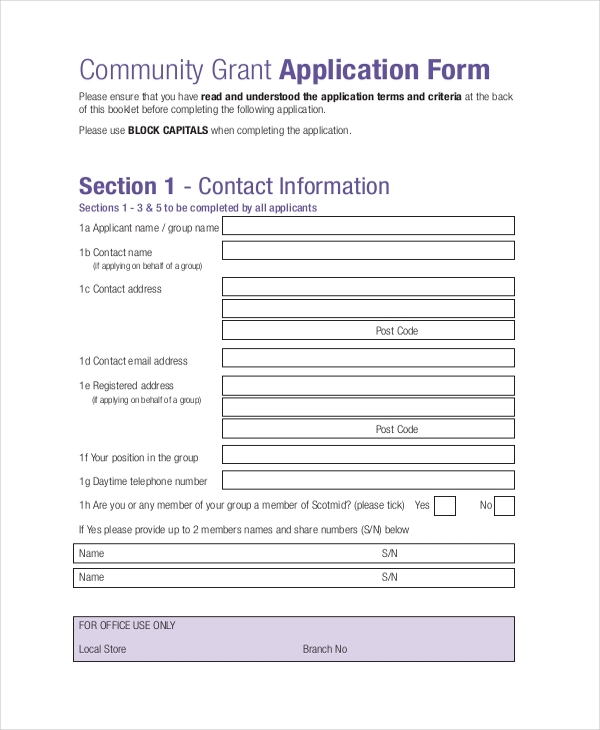 This is a standard version of a grant application form and can be used by any person irrespective of what his need for applying for a grant is. This form follows a globally acceptable format and comprises of all the crucial segments that make for an efficient application. This volunteer application form can be used by a person who is requesting for a special grant to help with an initiative of the community or group that he may be involved in. He is required to fill in the details of the community as well as that of the initiative for which the grant in sought in this form. A person who wishes to make a request for a grant to help with his travel plans can use the aforesaid form for the purpose. This form comprises of all the essential segments that make it easier for him to make the request with the authority concerned. 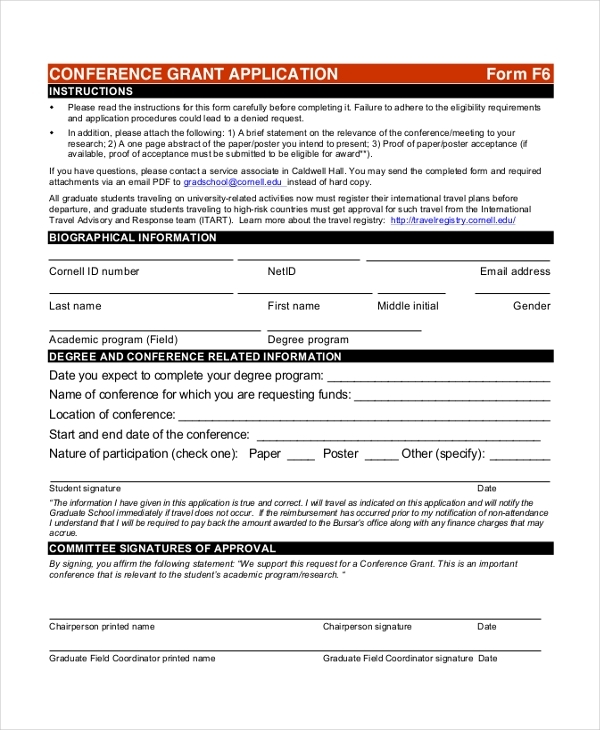 Students and people who may have been invited to present their papers at a big conference can seek a grant to help them with the travel expenses. In such cases, the aforesaid form comes in handy, which helps them make the request in a professional manner. 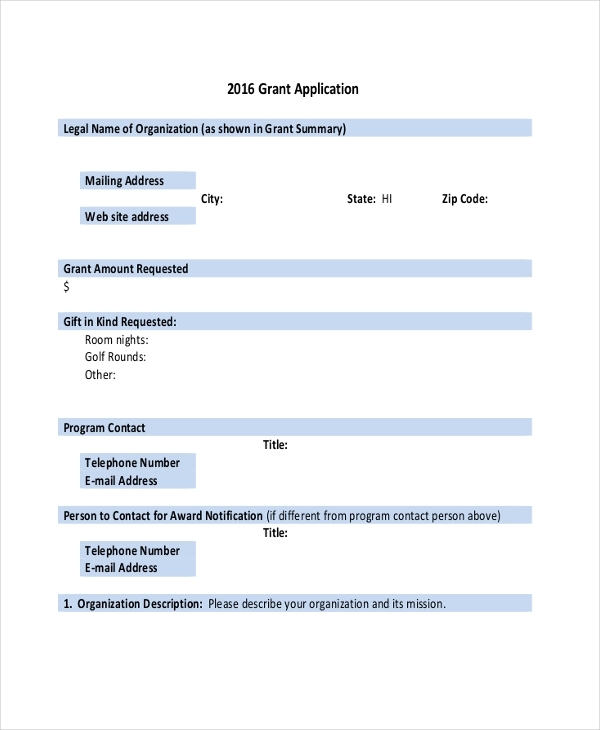 What are the Benefits of Using Grant Application Form? Don’t have enough time to hire a professional to design a grant application form for you? Don’t worry. Check out our vast collection of these forms and find the one that is apt for you. Easy to download and customize, these forms are print ready and help you to save a lot of time and efforts. These are available in MS-Word and PDF formats and thus an ideal choice. 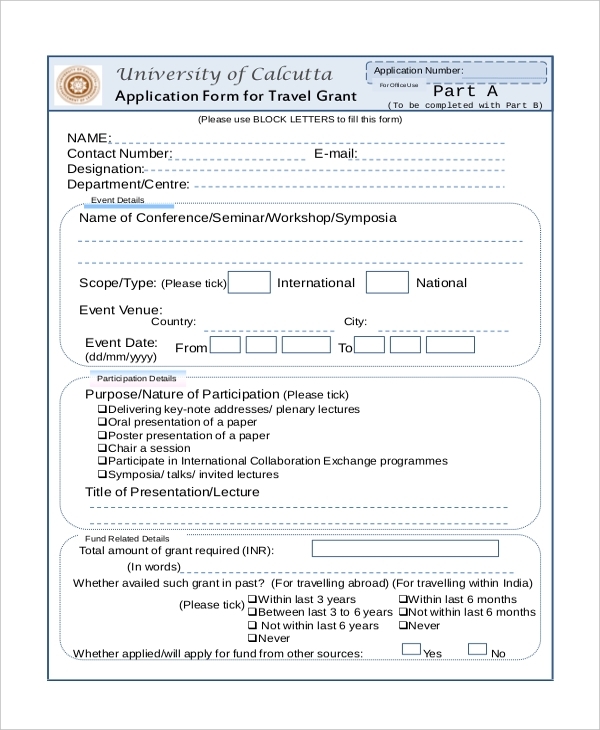 You may also see Sample Credit Application Forms.